FAIRBORN — Second baseman Matt Morrow of the Wright State baseball team has signed a free agent contract with the Pittsburgh Pirates, it was announced June 18. Morrow (Richmond, Ind./Richmond) was named to the Horizon League’s first team in 2015, 2017 and 2018. He hit .274 with 60 hits and 61 runs scored (80 RBI) in 54 games. A senior, he led the Horizon League in runs (61), was fifth in doubles (13) and second in walks (41). 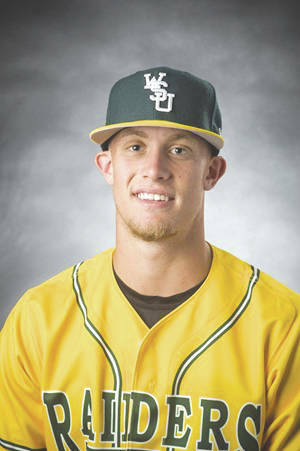 According to the wsuraiders.com website, the 5-foot-10, 180-pound Morrow had a 15-game hitting streak this season as well. He started 54 of the team’s 55 games this season. Three Raiders were drafted in the annual MLB Draft last week: pitcher Ryan Weiss by Arizona in the fourth round, pitcher Caleb Sampen by Los Angeles in the 20th round, and first baseman Gabe Snyder by Minnesota in the 21st round. The Raiders won the Horizon League’s regular season title and won the Horizon League postseason tournament to earn a place in the NCAA postseason tournament. Wright State finished the season at 39-16 at the NCAA Stanford Regional in Palo Alto, Calif., falling to the host Cardinal 4-3 in 13 innings in the opening round, then losing to Baylor, 11-5, in the elimination round. Story provided by Wright State Athletics, wsuraiders.com .